Milan Italian Leather Walnut 3 piece Reclining Sectional from Jackson/Catnapper. Includes reclining sofa, reclining loveseat and wedge. Frame is constructed of hardwoods and plywoods with steel seat construction. Comfort Coil seat cushion construction. Covered in an Italian Top Grain Leather and leather match application in a rich walnut color. Features Lay Flat technology and includes storage console with cup holders. Reclining mechanism offers infinite comfort possibilities. The Milan Italian Leather Motion from Jackson Catnapper Furniture is overscaled in both size and comfort. The frames in this collection are constructed of hardwoods and plywoods with a steel seat box and pocketed coil cushion core construction for seating comfort. 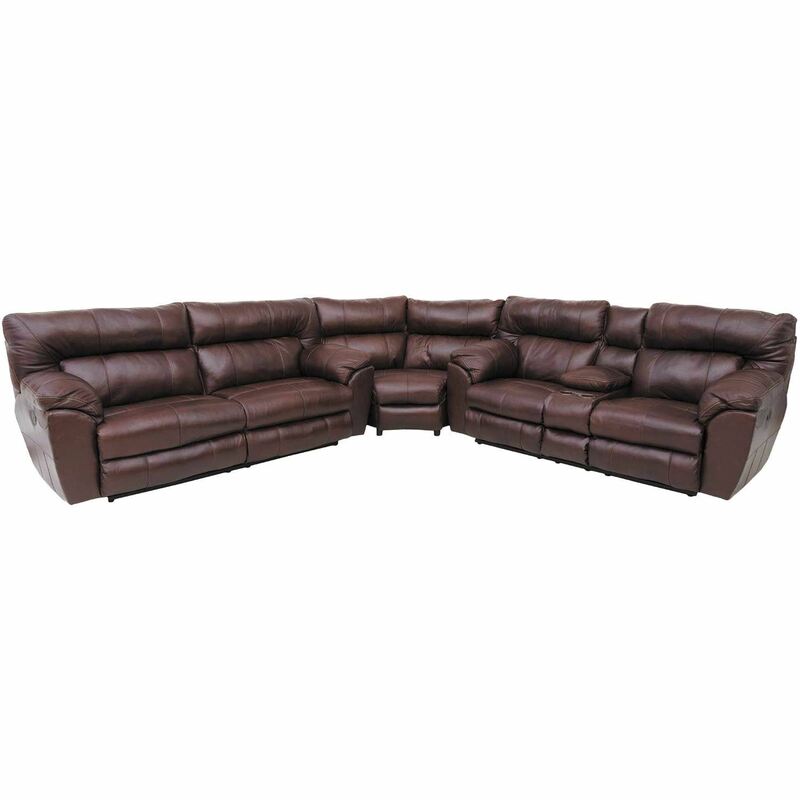 This collection is covered in a rich walnut Italian top grain leather and leather match application. The extra wide seating allows for generous space and comfort in the pillow top arm and large bustle back seat cushion. The lay flat technology provides a full lay down position for the ultimate napping atmosphere. 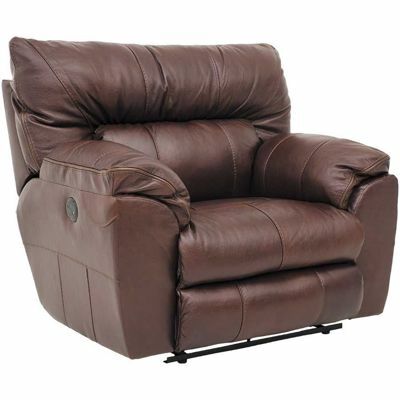 Available with power reclining mechanism for infinite comfort positions. The Milian Italian Leather Motion collection will cradle you in comfort.